Chrome plated fuel line kit fits 4150 carbs with 9-5/16 inlet centers. 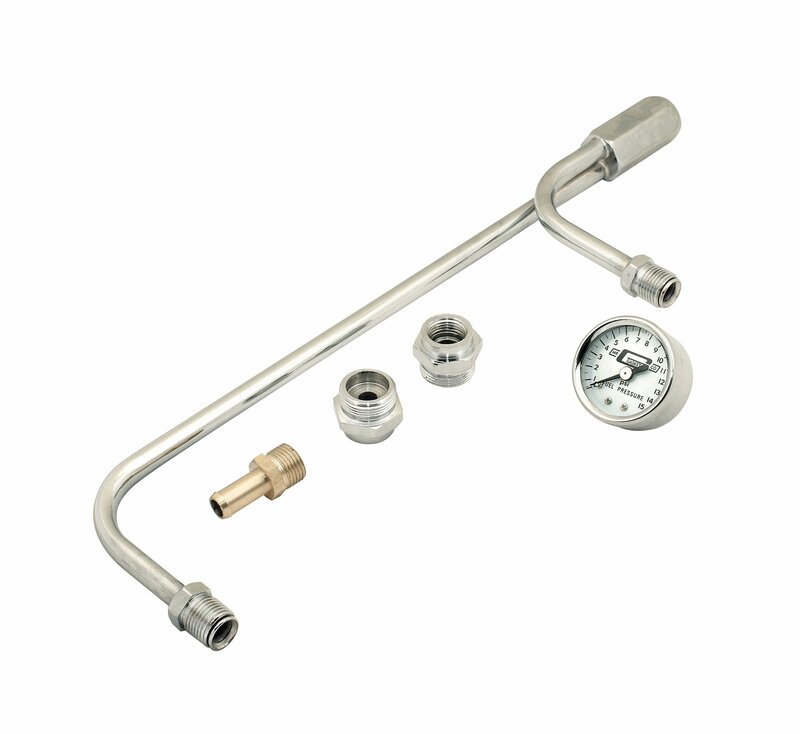 This fuel line is not only great looking, but is also very functional. It incorporates a small 1 1/2" dia. fuel pressure gauge. The gauge is designed to read in 1/2 lb. increments and has a range of 0-15 lbs. Inverted flare, inlet thread size 5/8-18.